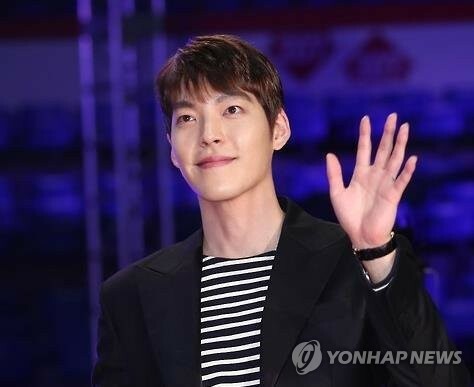 SEOUL, July 6 (Yonhap) — The producers of crime movie “Wiretap” have decided to suspend shooting until its main actor Kim Woo-bin recovers from a recently diagnosed disease, according to film industry insiders Thursday. Director Choi Dong-hoon and production company Caper Film decided to halt the project until Kim, 27, makes a full recovery from nasopharyngeal cancer discovered in May, according to sources. The rare form of cancer occurs in the upper part of the pharynx, located behind the nose and above the back of the throat. Kim has begun drug and radiation treatment. Star director Choi, whose filmography includes hits such as “Assassination” and “Thieves,” had wrapped up casting and pre-production of the white-collar financial crime film, and was about to begin principle photography. Choi and the company decided to postpone the project in light of Kim’s illness. “We had planned to film the movie this summer and release it next year but decided to respect the decision by the director and the production company,” CJ E&M, the film’s distributor, said. The model-turned-actor enjoys high popularity both at home and across Asia. He recently completed an Asian tour covering Macao, Japan, Chinese Taipei and Thailand. He most recently appeared in the KBS TV soap series “Uncontrollably Fond” with Bae Suzy, and the Korean action film “Master” with Lee Byung-hun and Gang Dong-won.